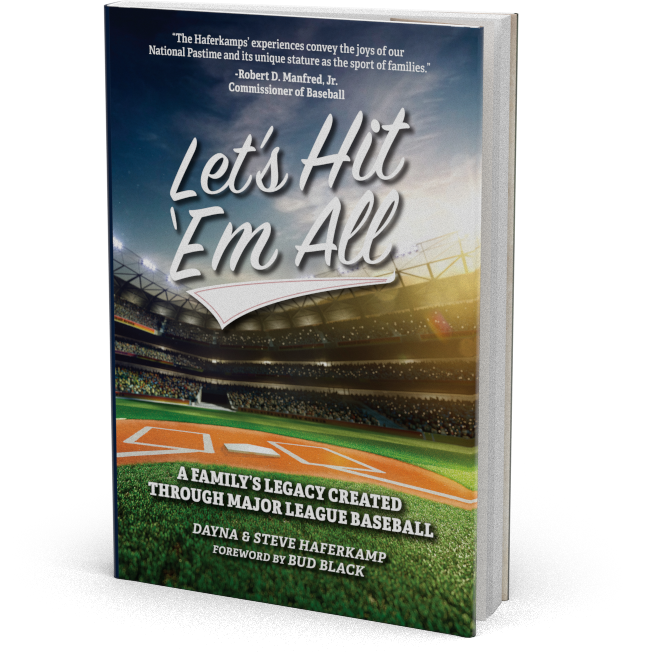 Let’s Hit ‘Em All tells the vivid story of a family’s journey to hit all the Major League ballparks—a good, old-fashioned family road trip to watch America’s favorite pastime from coast to coast. They traveled from rainy, picturesque Safeco in Seattle to the warm and stately Nationals Park in Washington, D.C. And they journeyed from the oldest MLB park still in use, Fenway in Boston, to the newest, Marlins Park in Miami. They didn’t just stop at stadiums on their way to “hit ‘em all” but made memorable trips to the Louisville Slugger Museum in Kentucky and Field of Dreams site in Dyersville, Iowa, with countless other stops along the way. They would be rained out, miss flights, and lose things over the course of their trip, but they enjoyed every minute of their often hectic adventure!